Jennifer is the Marketing Support Specialist for Ben and Josh. As a graduate of Western Connecticut State University, she received a bachelor’s degree in Marketing. 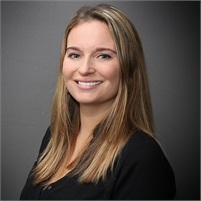 Jennifer joined Barnum eleven years ago and delivers a very high standard of client care. She is a resident of Griswold, CT and in her spare time she enjoys going to Pure Barre, paddle boarding, and spending time with her family. As your representatives, we bring a holistic approach to your individual situation to help you plan for the lives you have always wanted. While the financial world can at times be tough to navigate we can help provide the clarity to help you make the right financial decisions in all situations. We sincerely value our clients and the relationships we build together. Our goal is to deliver a different and more positive experience to our clients than what they may be used to. In doing so, our hope is that through all life’s challenges; our relationship will last a lifetime. For those who truly need and want a guide on their financial path, our team will be on your side.